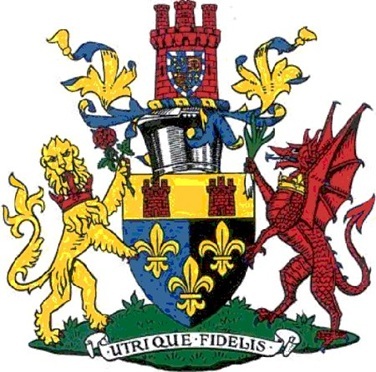 In 1948 the attributed arms of ancient Gwent were subsumed in the coat of arms awarded to Monmouthshire County Council. 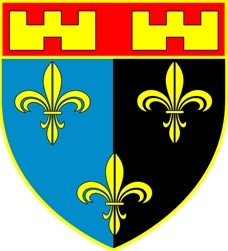 which was later modified after consultation with the Flag Institute, to include the slightly darker blue shade, of Pantone 300 and a fixed form for the fleur de lis. 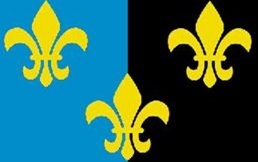 The proposed flag thus retained a symbol of ancient and local significance in a fresh and impactful style. 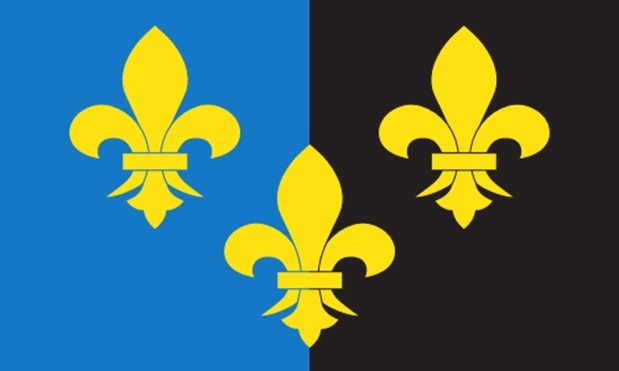 It was designed in accordance with recognised precepts of good flag design promulgated by both NAVA (North American Vexillological Association) and the Flag Institute, was distinct and different from all other county flags but easy to render and familiar to local inhabitants. 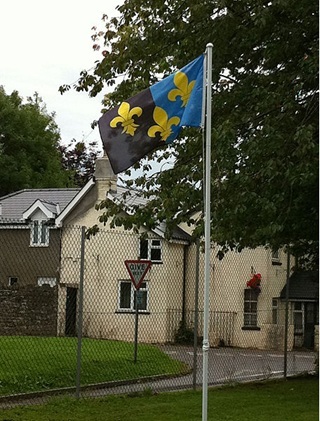 In late July, the village hall committee in Devauden, in the east of the county, became the first organisation to create a permanent installation of the Monmouthshire flag, raising it at the Hood Memorial Hall in the village. This was reported by the South Wales Argus, later in the year. 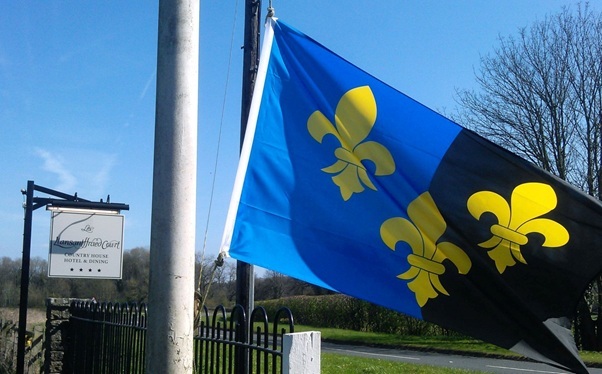 On the back of these two outstanding instances of local usage of the proposed flag, the ABC’s Rupert Barnes contacted the local council to enquire about their support for the flag. 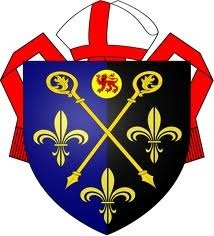 The council proved to be very enthusiastic and duly announced their official seal of approval in the council minutes on September 29th 2011. 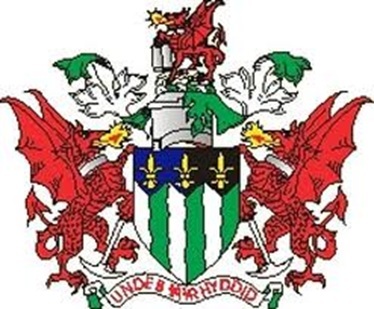 As a result of this solid and demonstrable support for the proposed flag from several local bodies and in light of the traditional, historic nature of the design, it was duly registered as the county flag of Monmouthshire. and beyond, it is seen below at a bar in New York! 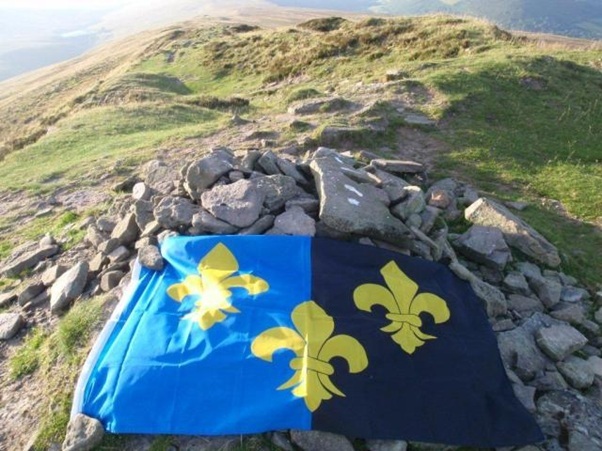 In 2012 the Monmouthshire county flag adorned the county’s highest point Chwarel y Fan.